The team at Phonesuit wants to iPhone 5 users with extra battery power, but they don’t want to cramp your already existing iPhone case's style. So, the company released an external battery that works alongside any case. Best of all, it fits right in your pocket. The Phonesuit Flex Pocket Charger contains a 2600 mAh battery and a Lightning charger. That battery tops the Mophie Helium, another external battery pack, by 73%. The Flex Pocket Charger is tiny enough to carry around comfortably. At an arm's length away, it's ready to provide when you need some extra juice for your iPhone 5. The team at Phonesuit wants to iPhone 5 users with extra battery power, but they don’t want to cramp your already existing iPhone case’s style. So, the company released an external battery that works alongside any case. Best of all, it fits right in your pocket. 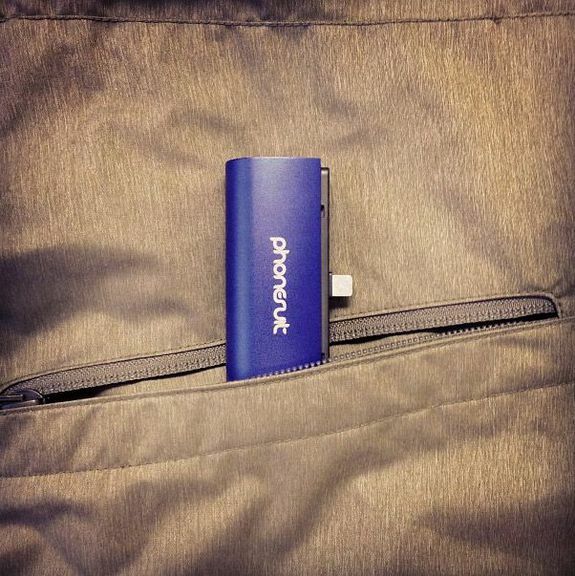 The Phonesuit Flex Pocket Charger contains a 2600 mAh battery and a Lightning charger. That battery tops the Mophie Helium, another external battery pack, by 73%. 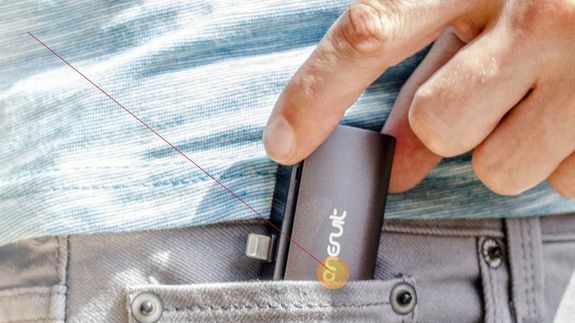 The Flex Pocket Charger is tiny enough to carry around comfortably. At an arm’s length away, it’s ready to provide when you need some extra juice for your iPhone 5.